Rumors of Google Pixel 2 and Pixel XL 2 features. Google Pixel 2 and Pixel XL 2 features Rumors. 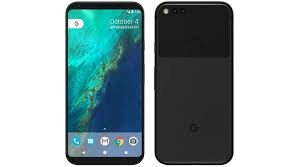 Previous Hit of Google pixel this year had a great impact on android users experiencing the best features.Google’s upcoming flagship phones Pixel 2 and Pixel 2 XL are among the most awaited phones this year. It’s been a year since Pixel and Pixel XL released and the hype is still alive. The new devices are code named Walleye and Taimen. Many rumors have started flowing about Google Pixel 2 specifications ahead of its release. So what features of Pixel 2 and Pixel 2 XL are to be expected?Google recently released a teaser video which proposes some interesting questions and could point to the upcoming features we can expect from the new Pixel devices. As per resources recent rumors of google Pixel 2 and Pixel XL 2 indicated that the tech giant would be the first to introduce Qualcomm's yet-to-be-announced Snapdragon 836 SoC However, fresh reports now refute this claim stating that Qualcomm is not working on any Snapdragon 836 SoC and that it doesn't exist, at least for now. XDA Developers cites its 'very reliable' sources to report that the Snapdragon 836 SoC doesn't exist at all. It claims that the company is currently not working on any such processor, but the source doesn't claim that it won't happen in the future. Qualcomm may very well have a new SoC planned for Q4 2017 and Q1 2018, but the Snapdragon 836 isn't on the table for discussion now. Qualcomm, last year, introduced an iterative update to the Snapdragon 820 SoC, and the original Google Pixel devices had the Snapdragon 821 SoC integrated inside. However, it isn't every year that Qualcomm practices this trend, and looks like this year the Snapdragon 835 has done well for itself, and the solid processor doesn't really need an update at all. Even Android Police corroborates the same claim in a separate report, lending more weight that the Pixel 2 and Pixel XL 2 will sport the Snapdragon 835 processor only. The Pixel 2 and Pixel XL 2 smartphones are tipped to launch on October 5. The HTC-manufactured Pixel 2 is expected to feature a Edge Sense style frame, the Pixel XL 2 is expected to be made by LG, and sport a bezel-less 18:9 display. Both will reportedly run on Android 8.0.1 Oreo. Additionally, the Pixel 2 is expected to come with 64GB and 128GB of built-in storage options and will support NFC, Bluetooth, and 802.11ac Wi-Fi. The smartphone will sport 4GB of RAM and the handsets have also been tipped to sport an 'Always On' display mode. The Pixel 2 and Pixel XL 2 are rumoured to feature a 4.95-inch full-HD and 5.99-inch QHD (1440x2560 pixels) displays that will be manufactured by LG. Furthermore, the Pixels are also expected to drop the 3.5mm headphone jack.